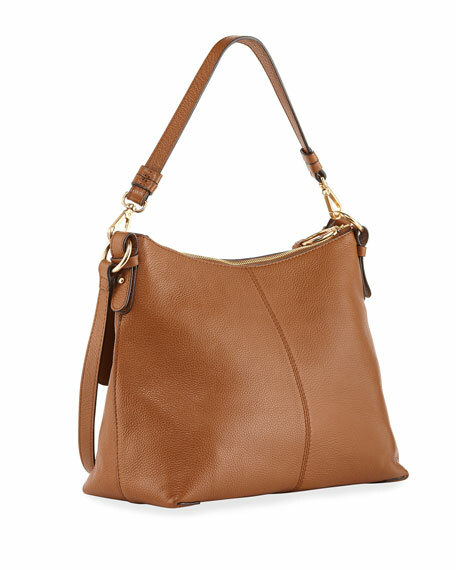 See by Chloe pebbled leather and suede crossbody bag with golden hardware. Zip top closure with ring-tassel pull. Front flap pocket with woven ring, charm and tassel. 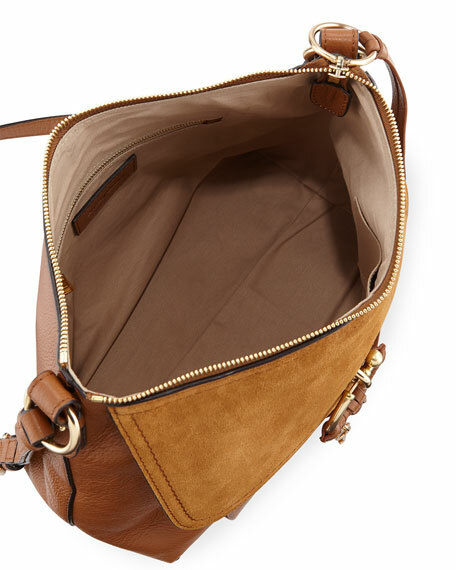 Interior, grosgrain lining; one zip and two slip pockets. 9.8"H x 11.8"W x 5.5"D.
For in-store inquiries, use sku #2575966.